Now let's take a look at what Fry's Electronics is promoting in their big ad for the weekend! They have tons of notebooks, we'll feature some, and then list the rest. We start with the HP Pavilion dv6707us at $600 after a $50 mail-in rebate. This is a 15.4" widescreen, with an AMD Athlon 64 X2 TK-53 dual core processor, 2 gigs fo DDR2 memory, 160gb hard disk drive, double layer dvd burner, NVidia GoForce Go 7150m video card and such. On the second tier, it has the usual stuff, wireless, Vista Premium. You can also get a free Canon all-in-one printer after rebate. See store for all the details of this promotion. If you need a desktop LCD monitor to go with this when you are at the office or at home and dont' want to spend more than $140, they have a nameless one at 19" for that price after a $30 rebate. It's your typical 1400x900 widescreen LCD monitor with dual analog and DVI-D interface, and 5ms response time, and 800:1 contrast ratio. If you are a fan of Fujitsu and mail-in rebates, you can get the Fujitsu A6110-378 for $800 after two-mail rebates of $50 and $100 respectively. If you do do the rebates, be sure to make copies and keep track of your submissions, and follow the instructions. The processor here is an Intel Centrino Core 2 Duo T5550. Memory is 2gb ddr2 which is become the standard memory size for laptops in this market segment. You also get a 200gb hard disk drive with a shock sensor (nice! ), double layer dvd burner, spill resistant keyboard, built-in webcam, wireless, and Vista Premium. Oh yes, the screen is a 15.4" WXGA Crystal View. Meanwhile at Frys.com, they have a special deal for $450 on the Compaq c700 Series Notebook, which has an Intel Celeron M 530 processor,15.4" widescreen, 1GB memory, 80GB hard disk drive, dvd burner, and Vista Home Basic. No rebates! There's two more HP Pavilion models in the newspaper, the Pavilion dv6770se goes for $900 after a $50 mail-in rebate, with a 15.4" widescreen, 3gb memory, 250gb hdd, and Turion TL-62. On the higher end of the price range, we have the Sony Vaio SZ750N/C at $1700, without rebates! Other than the Sony brand, you also get an Intel Centrino Core 2 Duo T8100 processor, 2gb memory, 250gb hard disk drive, 13.3" widescreen display, N-Wireless (abgn) and Sprint EVDO-WWAN, Vista Business, double layer dvd burner, along with built-in fingerprint reader and webcam. That and a lot more! At $1100 there's a more affordable Sony, the Vaio FZ410E/B with the same processor and main features mentioned above except Vista Premium and no Sprint EVDO-WWAN, and a 15.4" widescreen. For the same price, there's another Vaio with a T7250 processor and 14.1" widescreen. No rebate either! There are two MacBook Pros featured in the ad, the first one at $1900 with a 2.4ghz Core 2 duo processor, 15.4" widescreen, 2gb ddr2, 160gb disk, double layer superdrive, NVidia 8600MGT. If you prefer a 17" widescreen display, there's another one at $2400. Limit one per customer however. Fry's is an authorized Apple retailer. Just $5 (after a $10 rebate) gets you a Belkin Neoprene sleeve for 14" laptops. Limit one per customer though. If you are a Microsoftie, you can get their Prestige Portfolio case for $45 (after $15 MIR). This is good for laptops up to 15.4" widescreen. They also offer the Oggio Flux backpack for $30, with a suspended interiont padded laptop sleeves, good for most 15" laptops. If you want portable and flexibile backup on the fly, a 4-pack of 1gb Kingston USB flash drives goes for just $25, while a 4-pack of 4gb flash drives is $70. That's less than $5 per gigabytes! We have two new specials from Dell, on the Dell Inspiron 1420 and 1520. Good news for Dell fans. If you are not a fan of Dell, be sure to check our other posts, or check the various manufacturer categories at the bottom right column of this blog! Ok, silliness aside, the 1420 is powered by an Intel® Core™ 2 Duo T5450 (1.66GHz/667Mhz FSB/2MB cache) processor, 2GB Shared Dual Channel DDR2 at 667MHz, 250GB SATA Hard Drive spinning at 5400RPM, 14.1" glossy widescreen display as the model name suggests, Intel Graphics Media Accelerator X3100, and dvd burner. The secondary tier features include Vista® Home Premium Intel® 3945 802.11a/g Mini-card, built-in 10/100 Network Card and Modem, 56Whr Lithium Ion Battery (6 cell). Please note that there is no option for a webcam on this laptop. Also included in the price is 1Yr In-Home Service, Parts + Labor,24x7 Phone Support. Then we spotlight the Inspiron™ 1520 Laptop $799 after $289 instant savings . The default setup is a midnight blue color, but you can save $25 if you switch to the more traditional Jet Black. No, this is not a heavy metal band :) The other two options without a surchage are flamingo pink and espresso brown. Let's see what's inside this notebook! The computing power is generated by the Intel® Core™ 2 Duo T5450 (1.66GHz/667Mhz FSB/2MB cache). The output is displayed on a glossy, widescreen 15.4 inch display (1280x800) powered by the Intel Graphics Media Accelerator X3100. Storage wise it has 2GB Shared Dual Channel DDR2 at 667MHz, a 250GB SATA Hard Drive (5400RPM), and a dvd burner that loves both "dash" and "plus". All XPS M1330 displays are 13.3 inch widescreen HD displays with TrueLife 1280x800. The LED display starts at 3.97lbs and is 0.87 inches thick compared to the standard display which starts at 4.28lbs. and is 0.97 inches thick. The laptop tigers at Tiger Direct are offering the Toshiba Qosmio G45 AV680 for $2000 even, without any rebates! Wow, $2000 you ask? For a laptop? Why so? Well, let's take a look! The Qosmio Q45 is powered by an Intel Core 2 Duo T7300 processor running at 2.0GHz, a 17" WUXGA widescreen capable of 1080p Full HD with 1920x1200 resolution, 2GB DDR2 PC2-5300 memory (2x 1gb modules, max 4gb), and 320GB hard disk capacity using two 160gb hard disks! Oh my! Is this the definition of temptation or what? The dvd burner is super multi format, which means it can burn and play dvd-rw, dvd-r, dvd+r, dvd+rw, and dvd-ram. DVD-RAM being Panasonic's lovechild. It can also do double layer (DVD+R DL, DVD-R DL). But wait there's more! It can even play HD-DVDs, which is perhaps why it has been discounted since HD-DVD lost to BluRay. But if you needed more proof that this is a multimedia power notebook, the High Definition TV Tuner, and HDMI connector will be the pudding! Advanced video processing is enabled by NVIDIA’s new GeForce 8600M GT with 512MB of VRAM graphics. You even get one SPDIF audio output! On the second tier of features, it has a built-in webcam, 802.11a/g/n Wireless which as the "N" indicates it includes the NextGen, Bluetooth and Windows Vista Ultimate. You also have one Type I/II PC card slot for old-school and one ExpressCard slot (54 or 34) for new school. Thanks to blog directory Blog Flux for adding this blog to their listings. Blog Flux is one of the top tier blog directories on the net, so we were thrilled to get listed there! Thanks! They have a number of other websites and blogs listed in the field of computers and technology, so be sure to check them out! Dell Vostro laptop for $420 offered by Dell direct! Free shipping as well! Oh my! We have a nice special for you all! Save $135! Get the VOSTRO™ 1000 LAPTOP for ONLY $419! That's offered by Dell itself! As with all things Dell, you have a certain level of customization and adjustments to make it a better fit for your needs. For a limited time, all the models mentioned in the above page come with free shipping and handling! This is a limited time offer however, so don't snooze! The base configuration includes an AMD Athlon 64 X2 DC TK-55 processor at 1.8 ghz, Vista Home, 15.4" widesreen display, 1gb DDR2 memory, 120gb hard disk drive spinning like a DJ at 5400rpm, a dual-layer dvd burner, an ATI Radeon® Xpress 1150 video card, a 29 WHr 4-cell Lithium Ion Primary Battery, Dell Wireless 1395 802.11g Wi-Fi Mini Card, and one year limited warranty. But that's not all! As part of the same promotion, Dell is offering the Vostro 1400 and 1500 starting at $580 each. Obviously the more features you add, the higher the price goes. But those are nice starting price, don't you think? The Vostro 1700, which as the model name suggests, has a 17" widescreen display starts at $750. Check them out! And good news for Vista haters: Some of these laptops are offered with Windows XP Professional! We have a new set of coupons from the good people at Dell! Please keep in mind these are limited availability, so don't sleep on these specials! Here we go, first up, Save 25% on Inspiron™ laptop purchases over $999 (before tax, fees, shipping & handling) Coupon Code:KMQ?ZLS2RVWJ2K . As you can see the Inspiron 1525 laptops are getting a lot of run, and seem to generating a lot of interest on the net. For more on the Dells, be sure to check our previous posts on Dell, appropriately tagged Dell (19 posts as of the time of writing). And now something to use when you are at home or the office and don't want to squint on the smaller laptop screen: $30 off Dell E228WFP 22" Widescreen Flat Panel Monitor Coupon code: K?X8M73XF2R3B1 . Prices of LCD displays have indeed dropped in the last few months, which is a good thing, giving us all more options and flexibility, in both our computer LCDs and our all-important HDTV LCDs! Blog added to the exciting Blogged.com blog directory! We were excited to discover that the new and exciting Blogged.com blog directory has added the Notebooks Etc blog to their listings and gave it a Rating of Very Good!. Thank you Blogged.com! We hope we can continue to improve and provide valuable information in a compact and concise format! If you have any suggestions and recommendations, please let us know! The comments section is always open! You can also subscribe to our full-text feed using your favorite readers. That's right, we are syndicating our full posts for your convinience! You can subscribe using online readers such as Google Reader or Bloglines, or using desktop and mobile rss readers as well. Our feed is burnt through Feedburner, so it is compatible with both the RSS and the Atom formats. And speaking of desktop readers, NewsGator has made all three of their stand-alone news readers available for FREE now! That's right, free! You can get FeedDemon for PCs, Net News Wire for Macintosh and Newsgator Go! for mobile devices. For all the details, be sure to check Newsgator.com. The laptop tigers have broken free! We have three specials hot off the cyber stove at Tigerdirect! We will present them in ascending price order. So without further ado, let's get started! Starting at $500, after a $50 mail-in rebate, we have the HP 530 laptop. If the name sounds strange, it's because it's a Celeron laptop, using a Celeron M 520 1.60GHz processor, with a 15.4" widescreen display. Weight is around 6 pounds, it has one Type I/II PC Card Slot, and Vista Home Basic. It has 1gb PC2-5300 DDR2 memory, occupying one of the two available slots, and a 120gb hard disk drive, along with DVD burner and b/g wireless. At $600, Tiger offers the Everex StepNote SA2053T, without any rebates, which I am sure will thrill some out there. This StepNote ...sings with an Intel Pentium Dual-Core Processor T2080 at 1.73ghz, has 1gb DDR2 memory (but only one slot total, with max memory supported 2 gigs), 100gb hard disk drive, one ExpressCard slot, dual layer dvd burner, b/g wireless, and a 12.1" WXGA widescreen display. This makes it popular with fans of smaller laptops in width. If you are not familiar with it, there are 17 user reviews posted at the Tiger page mentioned above (and below). To learn more about Lenovo's face recognition technology, VeriFace, be sure to check this Tigerdirect Technology Product Insight page. Apple is launching their MacBook and MacBook Pro to the world! First up, the MacBook. Now even Faster. Featuring Intel Core 2 Duo up to 2.4GHz. From $1099. Customize to your specs. Free Shipping. It also features 13" widescreen monitor, available in silver or black. The starting configuration is a 2.1 GHz Core 2 Duo processor, 1gb memory, 120gb hard disk drive, and dvd-rom. You can upgrade to a faster processor, more memory, bigger hard disk, double layer super drive and more. Next up we have the the more powerful Macbook Pro, with the latest Intel Core 2 Duo, with multi-touch trackpad, and more. Free shipping. From $1999. The starting configuration is 2.4 GHz Core 2 Duo processor, 15.4" widescreen display, 2gb memory, 200gb hard disk drive, double layer super drive, NVIDIA GeForce 8600M GT with 256MB, and such. You can upgrade some of the features but obviously you have to pay more for ...more! Coverage of the new MacBooks is buzzing on the net. Here are some examples, first at Wired's Gadget Blog, and then at Ubergizmo. Meanwhile Engadget ask what did you think of the new MacBooks? Sony VAIO CR390EER Laptop Computer is offered by Tigerdirect for $900, without any rebates required. Let's take a quick look at the CR390: It has an Intel Pentium Dual-Core T2330 1.60GHz processor, 1GB DDR2 PC2-5300 memory, 160GB hard disk drive (5400rpm SATA), dvd burner, 14.1" WXGA display with a Mobile Intel Graphics Media Accelerator X3100, built-in webcam, Bluetooth, 802.11a/b/g/n Wireless, and Windows Vista Home Premium. This is RED! Not familiar with this Vaio? Be sure to check the expert reviews at the excellent NotebookReview.com site. And if you don't want to read, here is a video review at AOL. The highly-anticipated and much talked after Lenovo X300 is now available for pre-ordering at the Lenovo website! Lenovo estimates that the X300 will start shipping in 2 to 4 weeks! We recently discussed some of the X300 buzz generated at the gadget blogs, and we will have more gadget-blog coverage later today. For those not familiar with the X300, we'll provide a short introduction. It is one of the thinnest notebooks ever. It is probably thinner than most of the notebooks you can buy at your local office supplies stores. It is three quarters of an inch thick as its thinnest point, and weighs under 3 pounds. It is powered by an Intel Core 2 Duo SL7100 processor, running at 1.2GHz, with 4MB L2 and 800MHz FSB. The default memory is 1 gigabyte PC2-5300 DDR2 SDRAM 667MHz SODIMM Memory (1 DIMM), but you can customize it to your liking for up to 4 gigs. Plenty to feed the resource-hungry Windows operating systems, as this laptop is available with Vista Business, Vista Ultimate or *sigh of relief* Windows XP Professional. On the input front, you have the UltraNav, IBM's (oops! Lenovo's) trackpoint and TouchPad with Fingerprint Reader. Best of both worlds as you get both the red trackpoint and the more traditional touchpad, along with the fingerprint reader for extra protection. You also have the option of a Lightweight Travel Bezel or the ThinkPad X300 Series 3 Cell LiPolymer Bay Battery which is included in the default configuration. You also get integrated Bluetooth PAN, Intel Wireless WiFi Link 4965AG, built-in camera, one year warranty, a power cord, and the standard ThinkPad X300 Series 3 Cell LiPolymer Battery. If you want more juice, you can chose the ThinkPad X300 Series 6 Cell Li-Ion Battery for a few more dollars, but this may delay your order by 3-4 weeks. It has already earned CNet's 2008 Editors Choice award. Crunch Gear discusses the official release note. More coverage of the X300-mania at Engadget and Slash Gear. There are three variations, you can get a model which does not have a dvd burner option, but has a fixed bay for an extra 3-cell LiPo battery for extra juice. Or you can get the variation with a dvd burner bay, or you can get one with a lightweight travel bezel. The latter will decrease the price and the weight, but you won't have a built-in dvd burner. Your choice! It is indeed fascinating that they are able to offer an ultra-thin dvd burner in such a thin notebook! Better yet, Lenovo has a special financial promotion running through Bill Me Later for six months, along with their Leap into Savings promotion, and the free shipping promotion. For all the details be sure to check the Lenovo X300 mini-site and check all they have on the X300. But wait, there's more! If you have a Discover credit card, and you have accumulated at least $60 dollars in rewards, you can convert them to a $120 Lenovo gift certificate. More details in our money savings post. What does this laptop offer? Your choice of color, the default is blossom pattern, but you can also chose espresso brown, ruby red, midnight blue, spring green, flamingo pink, sunshine yellow, street pattern, chill pattern, or commotion pattern, for no extra charge. But image is not everything. The notebook is powered by an Intel Core 2 Duo T5450 processor, with these specs: 1.66GHz/667Mhz FSB/2MB cache. It has a glossy, widescreen 15.4" display fueled by the Intel Graphics Media Accelerator X3100. It "remembers" things with its 2GB Shared Dual Channel DDR2 at 667MHz, and its Size: 160GB SATA Hard Drive (at 5400RPM). You can save or load things using the dvd burner, and grab stuff through the air with the Dell Wireless 1395 802.11g Mini-Card. This does NOT have a webcam option, which is not necessarily a bad thing. The power is through a 56Whr Lithium Ion Battery (6 cell). And yes, it has genuine Windows Vista Home Premium. As with all things Dell, you can customize a number of options, and add or remove features and options. But not everything is customizable, so be sure to check that model and others as well to find something that matches your needs, preferences and price-point too! Let's take a look at what Circuit City has in-store (and online) for us for the week of Sunday February 24 through Saturday March 1, 2008! We start with the most affordable laptop listed in the sunday paper circular, which you can also check online. The most affordable one is the Acer Aspire AS4720-4721, which features tempting price-tag of $480, without mail-in rebates, which is always nice. As you can expect with a sub-$500 laptop, it won't have the same feature as a sub-$700 laptop, but if you don't need the extra features, then the price is right! So what do you get with this guy? You get 5.4 pounds of a box that contain a 1.66GHz Intel Pentium Dual-Core T2330 processor, 1gb ddr2 memory, a 160gb hard disk drive, super-multi format dvd burner, b/g wireless, 14.1" widescreen display, Vista Home, built-in memory card reader and webcam, along with an ExpressCard/54 slot. As you can see this Acer notebook is value-packed in features. A mid-size laptop, at the price of $650 after a $100 mail-in rebate, the Sony VAIO VGN-NR260E/S has an 1.6GHz Intel Pentium Dual Core T2330 processor, 2gb memory, 200gb hard disk drive, supermultiformat dvd burner, 15.4" widescreen, b/g wireless, Intel Graphics Media Accelerator X3100 using shared memory, ExpressSlot/34, memory card reader, webcam, and 6.2 pounds in weight. The price is very right, especially if you are a fan of the Sony brand! And now to the Toshiba Satellite A205-S6812. The price is $800, without any rebates. What does it offer? 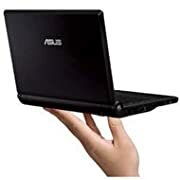 A 1.66GHz Core 2 Duo T5450 processor, 2gb memory, 250gb hard disk, 15.4" widescreen, dvd burner which can also play HD-DVDs (not so hot now since HD-DVD has lost the format wars to BluRay), and the utility features such as webcam, memory card reader and ExpressSlot/54, along with a/b/g wireless. Weight is 6 pounds. A mid-size laptop is the Toshiba Satelite A215-5822, offered for $650 after instant online exclusive savings. What makes this laptop worth a $600+ price-tag you ask? Well, it has an AMD Turion 64 X2 TL-60 processor, 2gb memory, 200gb 5400rpm hard disk drive, 15.4" widescreen display, and super-multi-format dvd burner with labelflash. The wireless support is AGN, and N stands for the next-generation technology, and that's a good thing! Video duties are handled by ATI Radeon X1200 graphics with 319MB of shared video memory "grabbed" from the main memory. On the utility front, it has a built-in webcam, memory-card reader and an ExpressCard/54 slot. Usually the ExpressCard slot is one of the things absent from the sub-$500 laptops, so that's something to consider if you are trading off the various options out there. And speaking of Lenovo, we have some specials and coupons for you, going towards two specific Lenovo models: Save $105.25 on T61 Notebook models. Hurry, Use code USTMPX60T at checkout! The T61-series of laptops offers your choice of XP Pro, Vista Home or Vista Business, your choice of screen size (14" or 15.4"), fingerprint reader, wireless and network support of course, and such. They do offer customization, so you can add or remove certain features you want or do not want. And Save $190.00 on X60T Tablet models. Hurry, Use code USTMPT61 at checkout. We have an Acer special at Office Max to blog about. Office Max is ideal for people who are allergic to rebates, since Office Max does not do rebates. What you pay is what you pay! So here we go, the Acer Aspire AS5720-6514 is offered for $700! So what justifies this price point? This lovely Acer is powered by an Intel Centrino Duo Core 2 Duo T5450 processor, 3gb of ddr2 memory (yes, three gigabytes), 250gb hard disk drive, 15.4" widescreen display, dvd burner, built-in webcam and a/b/g wireless, and 5-in-1 memory card reader. And of course Vista Home Premium. Let's take a look at the circular ad found in the Sunday paper (and online) by Best Buy, and more specifically what laptops and notebooks are advertised there. As always keep in mind that the better the deal is, the less likely it is you may find it online or in-store. As always, be sure to check first! We will present them in price-ascending order, starting with the $450 Compaq Presario C751NR, which is a Best Buy exclusive model. Remember, Best Buy does not do rebates, so what you see is what you pay at the checkout counter! The C751NR, and we assume NR does not stand for noise reduction, is powered by a Pentium dual core processor, in contract to the Presario F-series which is powered by Athlon models. It has 1gb DDR2 memory, 120gb hard disk drive, 15.4" widescreen display, dual layer dvd burner, Vista Home Premium (oh lovely! ), and the usual assortment. Because of the great price this is offered one per household, assuming you can find one. At $500 we have the Gateway M6309, which is a Best Buy exclusive model according to Best Buy itself. This lappie offers a Pentium dual core processor, 1gb memory, 160gb hard disk drive, dual layer dvd burner, 15.4" ultrabright widescreen display, and Vista Home Premium among other things. And keep in mind that if you are participating in the Best Buy Reward Zone rewards program, you can earn 2X or 3X points on all computer purchases totalling $699 or more. Membership to the rewards program is free! Up the price ladder we go now to the $600 notch where we find the Toshiba A215-S5818, which has an AMD Turion 64 X2 dual core processor, 2gb ddr2 memory, 160gb hard disk drive, dual layer dvd burner, ATI Radeon X1200 graphics, 15.4" TruBrite widescreen, and such. This is a Best Buy exclusive model. Also an exclusive, and at the same price, is the Gateway T1625, which is also powered by an AMD Turion 64 X2 dual core, 2gb DDR2 memory, 250gb hard disk drive (nice! ), dual layer dvd burner with labelflash (not to be confused with lightscribe), ATI Radeon X1270 grpahics, built-in webcam, 14.1" ultrabright widescreen display, and lots more! Now we move on to the $700 tier where we find the Sony VGN NR260E/W. Wow, a Sony at $700? Yes sireee! It's a Sony baby with a capital S!!! This is an all white model, so be sure to spill your coffee, coke, and orange juice all over it ;-) It is powered by a Pentium dual core processor, 2gb ddr2 memory, 200gb hard disk drive (nice! ), dual layer dvd burner, 15.4" XBrite-Eco widescreen display, and Vista Premium. As with all things Best Buy, no rebates! $50 above the Sony we find the HP DV9715NR, a Best Buy exclusive model as well, which is powered by the AMD Turion 64 X2 DC, 2gb ddr2 memory, 250gb hard disk drive, dual layer dvd burner with lightscribe, built-in webcam, and nVidia GeForce Go7150m graphics. But the distinguishing characteristic of this model is a 17" BrightView widescreen display. Moving on up, Dell marks the $800 spot with the Inspiron 1420, model B8104, which is powered by an Intel Centrino Duo Core 2 Duo processor (talk about a railroad! ), 2gb ddr2 memory, 250gb hard disk drive, dual layer dvd burner, built-in webcam, 14.1" widescreen which means smaller laptop size, which is an important feature for some people, and Vista Home Premium. At the same price you can get the HP Pavilion dv2754se, which features an AMD Turion 64 X2 DC processor, 3gb of DDR2 memory. Yes, three gigabytes, not a typo! The more memory the better! It also has a 250gb hard disk drive, dual layer dvd burner with lightscrbie, nVidia GeForce Go7150m graphics hardware, built-in webcam, and 14.1" brightview HD wide display. And yes, Vista Home Premium, Vista HP in short. And now we move to the big leagues, the four-figure laptops, starting with the $1100 Sony VGN-CR320E/P, a pink laptop, but you can select your color of choice. This model has an Intel Centrino T7250 processor, 2gb ddr2 memory, 250gb hdd, dual layer dvd burner, the new wireless technology (NextGen N), built-i webcam, anda 14.1 X-Brite ECO widescreen display. Needless to say it has a Vista HP as well. Last but certainly not least is the buzzworhty Apple MacBook Air MB003LL/A at $1800. Lots of coverage of the Air at the high tech gadget blogs, where they compared it with the Lenovo X300. The price you ask? $1800! It uses an Intel Core 2 Duo processor, 2gb ddr2 memory, 80gb hard disk drive, built-in iSight camera, wireless-N and bluetooth, full-size keyboard, and 13.3" widescreen display. It's not the specs or the Apple logo that command this price, but rather the really thin size, 3 pounds weight and just .76" thin. That's about three quarters of an inch! Talk about thin! So thin that it doesn't have an optical drive, but you can purchase the external MacBook Air superDrive for $100. The model # for that is MB397G/A. And this concludes this episode of Best Buy laptops in this week's sunday paper. And don't forget to subscribe to our full-text RSS feed! In addition, it has the typical specifications you would expect in this price range, with a 15.4" VIBRANTVIEW wide display, 2GB DDR2 memory, 250GB hard disk drive, dual layer dvd burner, built-in webcam, wireless LAN (a, b, g, in the alphabet soup), and of course Windows Vista Home Premium. The price is $580, after two mail-in rebates of $185. If you are to submit the rebates, be sure to make copies of everything, and follow the instructions, and keep track of it all. If you are not familiar with the laptop, be sure to check the following websites for more information, Ubergizmo, the gadget blog, PC World, the magazine, and the Laptoping website. Apart from the above, there's also the lenovo IdeaPad Y510(59012891) 15.4 Wide XGA Intel GMA X3100 NoteBook - $849.99 (after MIR & coupon "notebook50x") at Newegg.com. Exp 2/26 . As we see there, this model won a CNet Best of 2008 Award. We have a Toshi on special this week (February 24 to March 1, 2008) at Office Depot. It is the Toshiba Satellite A215-S6804 , for $700 after mail-in rebate savings of $135. The A215-S6804 has a 15.4in. Widescreen display, and it is powered by the AMD Turion(TM) 64 X2 Dual-Core Mobile TL-60 processor. This notebook has 2gb DDR2 memory, a 250gb hard disk drive, super multi format dvd burner, wireless LAN, built-in memory card reader and webcam, ExpressCard slot, and Vista Home Premium. For more details on this lappie, be sure to check our previous post and Toshiba forum at the NotebookReview site. Also check the Amazon product page for more details on the S6804. We have a nice special for Compaq Presario fans at Office Depot! The Compaq Presario F750US is offered at $450 after $165 in mail-in rebates. If you are getting it for the after rebates price, be sure to read the terms, pay attention to the submission dates, make copies of everything you submit, and keep track of the rebate in order to receive your $165 in a timely manner. The price is good until March 1, 2008. The F750us is powered by the AMD Athlon? 64 X2 Dual-Core Mobile Technology TK-57, has a 15.4in. Widescreen display, 1gb memory, 120gb hard disk drive, dual layer dvd burner, built-in wireless, and everyone's "favorite" Vista Home Premium. For more on the F750us, there are three reviews at Office Depot (click on the picture above and then the "Read Reviews" link), three reviews at Amazon. Some more details at CNet. In this brand new feature, we will be introducing tips, ideas, suggestions, or strategies on how to make the most out of your hard-earned purchases! In this episode, we talk about purchases at Lenovo.com if you are a Discover Card member. Here's the deal: Discover Card has a rewards program, they call it the "Get More" program. You earn money based on your purchases. After you accumulate enough rewards, you can convert them into cash, or gift card for various online and brick and mortar retailers. Usually you get face value or a small perecentage increase for your reward, but some retailers have special promotions with Discover. Lenovo is one of them! If you have accumulated $60 in Discover Rewards, you can convert them to a $120 Lenovo gift certificate. This is the only denomination available for Lenovo at Discover, but that is a nice deal! You are doubling your rewards buying power! Limit one certificate per purchase. Certificates must be used with a system purchase only (notebook or computer desktop). And speaking of Lenovo, here is the latest Leap Into Savings promotion: Leap now and Save 25% on R series and T series now through March 10, 2008. LEAP! We recently remodelled and rebooted this blog, with more content and more frequent updates. This is a recap of some of our latest posts! We started a new feature, rounding-up the notebook interest stories found in some of the most popular of the countless high-tech and gadget blogs. The first update came on Wednesday, with Penryn finding its way to more computers - among other stories. The Friday update featured the Lenovo X300 squaring off with the MacBook Air, exploding laptops in Korea, updates of arrivals of new models, and lots more. Also, everyone's favorite browser, Firefox, surpassed half a billion downloads. Hooray! On the shopping front, we had new Dell specials, first on the Inspiron M1530 and M1330, then the Inspiron 1525 and 1520. On the Toshiba front, Buy.com has a special on the A205-S7443, while the A215-S5825 was on special all week at Circuit City. J&R World has a weekend special, the A205-S5804. This concludes our first week in review post! If you have any suggestions for this blog, please let us know! The comment section is always open! Toshiba Satellite A205-S7443 for $675 at Buy.com, no rebates! The good people of Buy.com have a special on the Toshiba Satellite A205-S7443 for $675 and free shipping, and no rebates. This Satellite is powered by an Intel dual core T2310 processor, 2gb of DDR2 memory, and a 160gb hard disk drive (5400rpm, SATA). It has a super multi format dvd burner, built-in webcam and memory card reader, wireless LAN and the usual 10/100 ethernet, along with Vista Premium and a lovely 15.4" widescreen TruBrite display. It also has four USB slots, and one Express Card slot, which is one of the pluses of getting a laptop over $500 - at least for those who want or need an Express Card slot. Not familiar with this laptop? Check the NotebookReview forums. Offer may not be combinable with mail in rebates, dollars off, percentages, or select other promotions. One coupon code may be applied per cart at checkout. Coupon code expires after first 10,000 redemptions or earlier if offer is terminated earlier. The Home & Home Office site and offers contained herein valid only for end users and not for resellers and/or online auctions. Offers subject to change, not combinable with all other offers. Taxes, shipping, handling and other fees apply. U.S. Dell Home and Home Office new purchases only. Purchase limit of 5 systems per order, but coupon discount applies to only 1 system per cart. Limit of 5 systems per customer please. Dell reserves the right to cancel orders arising from pricing or other errors. The good news is that the laptops are also available in Windows XP flavor, which is music to the ears of "fans" of Vista. Not familiar with these laptops? Be sure to check the Inspiron 1525 review at NoteBookReview.com. And if you are looking for more reviews, Engadget, the gadget blog, has posted a review round-up. And how about an inked review? Then check Laptop Magazine. "Hey, what about me?" screams the Inspiron 1520 while sitting in its corner. Fear not, it got its share of reviews, including Laptop Mag, and Notebook Review. Let's take a look at some of the latest news from the world of laptops through the eyes of the various high tech blogs out there! Endgaet chimes in on the debate. And if you want to make your voice heard, or if you want to rekindle the PC vs Mac wars, you can vote in the Gizmodo poll. Who wins right now? Click on to find out. For now, it looks like a recount won't be necessary, but there's still time! Vote early and often! The exploding LG laptop has generated more than just ...buzz. Coverage of this at Crunch Gear and Engadget. It's one thing for a laptop to have explosive performance, but it's a whole another thing for it to literally explode! This was reported from Seoul, Korea. Meanwhile Crunch Gear has a story of a laptop exploding at LAX. LAX the airport that is. What did Japanese engineers thinks of the new MacBook Air? The answer may surprise! If you wanted to have your Gateway laptop pimped, you may have waited for too long. Details at 11, or the CNet Crave blog. Not quite Beatlemania, but Europe will be receiving the new LG 13.3" P300 ahead of North America. The estimated price is above $2000, once a reasonable amount to pay for a laptop - and now considered "a lot", even though the buying power of money has gone down. Oh the wonders of technology! On the other side of aisle, clouds are hanging over the ...Cloudbook by Everex. More troubles says Gizmodo. How about some alternatives to the MacBook Air? CNet TV (video link, m4v file) has the visual story! Wooohoo! The great Firefox experiment has now reached half a billion downloads! Well done Firefoxies! We did it! * balloons falling from the blog ceiling * We did it! Details of this achievement are chronicled at CNet's News.com blog. Firefox is open-source, and carries on the tradition of the early days of the internet goldrush as it is the "heir" (in some ways) to the Netscape legacy. Remember the legendary Netscape vs Internet Exploder browser battles? We have a weekend sale for those of you interested in Toshi laptops! The good people at J&R World are making the Toshiba PSAF3U-0NR00V Satellite A205-S5804 Notebook available for $600. Shipping starts at $16 for UPS ground (3-5 business days). The offer is good for Friday, Saturday, and Sunday. The A205-S5804 has a 15.4" widescreen display, an Intel dual core T2330 processor, 1gb of memory, 120gb of hard disk, super multi format double layer dvd burner, built-it memory-card reader, and one ExpressCard slot, something missing from most of the sub-$500 laptops, so this is something to consider. And it has the usual assortment of laptop features such as Realtek wireless, 10/100 network, usb ports, etc. This weighs about 6 pounds, and has a one-year limited warranty. For a description and user reviews of this laptop be sure to check HiTechReviews.net. And for never-ending discussions, the Toshiba forums at NotebookReview.com are a great place! Dell Home has just launched two new specials on the Inspiron 1520 and Inspiron 1720 laptops. First up, the Inspiron™ 1520 Laptop for $800 after instant savings. The 1520 is as all things Dell configurable. The default configuration includes a trendy color, but you can save $25 if you instead opt for the jet black option. It is powered by an Intel Pentium Dual Core T2330 (1.6GHz/533Mhz FSB/1MB cache), a 15.4" widescreen display, 2gb DDR2 memory, 250gb hard disk drive, dvd burner, wireless LAN, built-in webcam, 6-cell battery, and the usual assortment of features at this price level. Oh and something else that may be music to the ears of Vista Haters: It ships with Windows XP! Meanwhile, its bigger brother, the Inspiron™ 1720 Laptop is offered at $1000 after instant savings. The 1720 is configurable to your liking, but the default configuration presented comes in Jet Black, and is powered by an Intel Core 2 Duo T5450 (1.66GHz/667Mhz FSB/2MB cache). It has the "dreaded" Windows Vista Home Premium Edition. Fans of large displays will be thrilled since it uses a 17" widescreen display (1440 x 900) and an Intel Graphics Media Accelerator X3100. Memory-wise it has 2GB DDR2, and a 250GB SATA Hard disk Drive spinning at 5400RPM. Obviously it has a dvd burner, the Dell Wireless 1505 Wireless-N Mini-card, but also built-in Bluetooth capability (2.0 EDR). Viva Bluebooth! Webcam fans please don't cry, this laptop does not have a Webcam Option. As if! It is energized by a 85Whr 9-cell Lithium Ion Battery. The very helpful site Notebook Review has posted their review of the 1720. Be sure to check it out if you are not familiar with this laptop. Also reviewed at CNet, PC World, and Laptop Magazine. Then on the Inspiron 1520, we have a review at NotebookReview, CNet, and Laptop Magazine. Dell fans, we have received some new coupons from Dell towards the purchase of XPS M1530 or M1330 notebooks! Here they are: Save $100 on all XPS™ M1530 or XPS M1330™ laptop purchases- Coupon Code: FKVNR8FG9PM2W7 This promotion ends on 2/28/2008. Restrictions: Offer may not be combinable with mail in rebates, dollars off, percentages, or select other promotions. One coupon code may be applied per cart at checkout. Coupon code expires after first 10,000 redemptions or earlier if offer is terminated earlier. The Home & Home Office site and offers contained herein valid only for end users and not for resellers and/or online auctions. Offers subject to change, not combinable with all other offers. Taxes, shipping, handling and other fees apply. U.S. Dell Home and Home Office new purchases only. Purchase limit of 5 systems per order, but coupon discount applies to only 1 system per cart. Limit of 5 systems per customer please. Dell reserves the right to cancel orders arising from pricing or other errors. We are introducing a new feature today! There are so many high tech gadget blogs out there, and it is almost a full time job keeping track of all the new gadgets posted there. So we will be doing that for you: We will be checking the most popular gadget blogs and posting the stories of notebook and laptop interest right here. So let's get started! Will Apple add Blu-Ray to the laptops? Well now that the high-def media wars are over, what do you think? The Wired blog discusses. Meanwhile Crunch Gear goes inside the Lenovo X300, a laptop generating lots of buzz for the upticking company. And when we say inside, we really mean inside! Dell's got the power! Engadget informs us that Dell will be making available the new Penryn T9300 2.5 Ghz processor avaiable in their Inspiron 17xx line-up. But Dell is not the online one. Alienware will be making it available for some of their Area 51 laptops says Ubergizmo. And now to something ...smaller: The 8gb EeePC is getting closer to a release says Gizmodo. It's now a matter of weeks! The lovely is available for ordering from Amazon for around $550. But EeePC is not the only tiny out there! Ubergizmo has a leak of the HP Compaq 2133. Also at Slash Gear. So many blogs so little time! Engadget has an update on the Vista Service Pack 1. Of interest to those of you using or tempted to use Vista after SP1 bugs are ironed out. SP1 of SP1 anyone? Accessorize! Krusell has two new unisex laptop bags called Radical and Breeze says The Gadget Blog. Frequent visitors of this blog may have noticed that it looks a bit different. And with good reason! We have changed to a different template that gives the blog a more flexible and streamlined looked. It also allows us to adjust the width easily, in case we need to add more content, or make the columns wider. We also hope that the all-white background will make it easier to read. If you have any feedback, suggestions or recommendations, please let us know! Office Depot has a new special on the lovely Toshiba Satellite A215-S6804 notebook computer. The Toshi has a 15.4" widescreen display, and it is powered by an AMD Turion™ 64 X2 Dual-Core TL-60 processor. So it doesn't forget what you are doing, it has a 2GB of PC2-5300 DDR2 SDRAM memory, and a 250gb 5400rpm SATA (serial ATA) hard disk drive. For storage, a super multi format double layer dvd burner is included. The Super means that it supports Panasonic's baby, the DVD-RAM format, while multi-format means that it supports both the "+" and the "-" camps, namely, DVD-R, DVD-RW, DVD+R, and DVD+RW. But that's not all! This lappie has Atheros wireless LAN (b/g), built-in webcam, ATI Radeon X1200 graphics, built-in memory card reader, ExpressCard slot, and the usual assortment of laptop features at that price level. Speaking of price, the out the door price is $765. But if you submit the mail-in rebates and follow the instructions you will receive $135 back in mail-in rebates, and that will bring the price down to $630. Be sure to make copies of everything you submit rebate-wise, and also track the rebates to make sure they are processed in a timely manner! Not famiiliar with this laptop? Look for it online. We haven't found a specific review, but be sure to check the Toshiba forum at NotebookReview.com! The Toshiba A215 S5825 is advertised in this week's circular ad by Circuit City. The price is nice, $450 after a total of $180 in mail-in rebates. If you are going to do the rebates, be sure to follow the instructions, keep copies, and track the rebates! If you hate rebates, you may want to go for a laptop without rebate offers attached to it. The Toshi A215-S5825 uses an AMD Athlon 64 X2 TK-55 processor, 1gb of DDR2 memory, 120gb hard disk drive at 5400rpm, a 15.4" widescreen display, dvd burner of course, wireless, ATI Radeon X1200 graphics card, built-in memory card reader, ExpressCard slot, and Vista Home Premium. There are more than 700 user reviews on this laptop at the Circuit City page mentioned above. You can also check epinions.com.